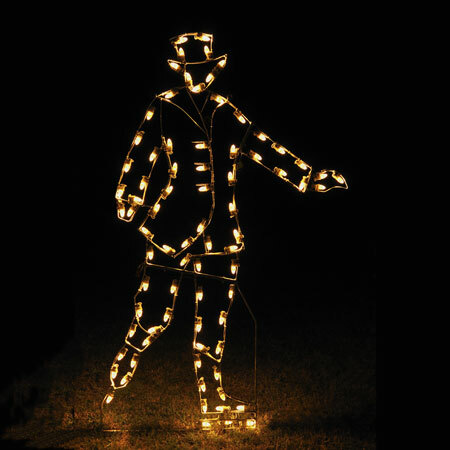 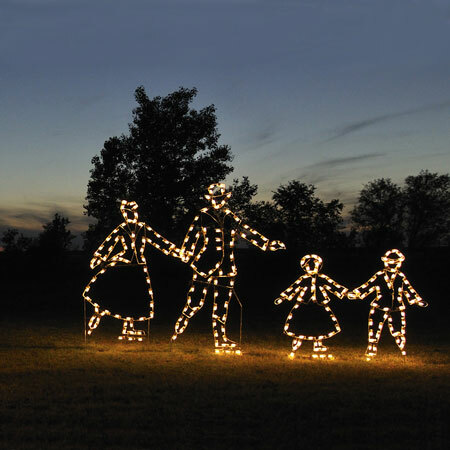 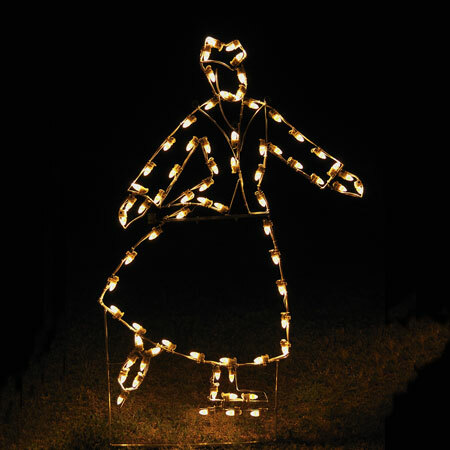 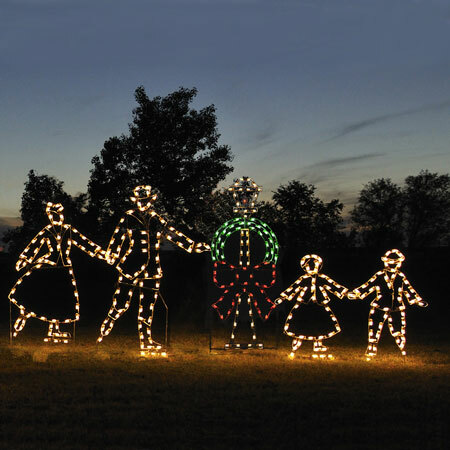 As part of the Victorian Skating Family Set by Holiday Lighting Specialists, this fun life-sized Victorian Skating Son figure is great for placing near your town ice rink or pond. 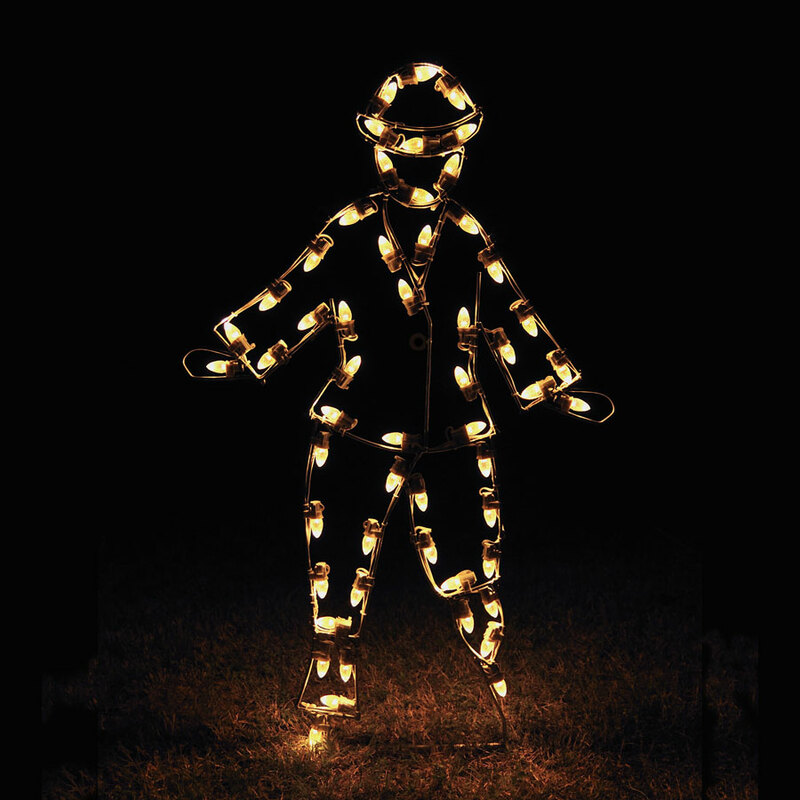 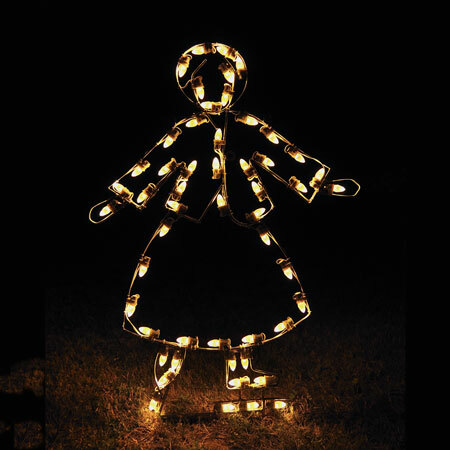 The figure is professionally designed and built by hand with 54 commercial-grade C7 LED lights. 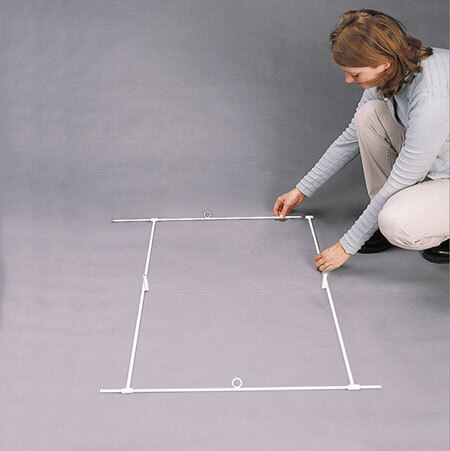 It comes with guy wires and may be inserted into the ground or placed on a flat surface with one floor stand (not included).